Reader David Moore submitted this photo of a whale breaching by his sailboat Monday. 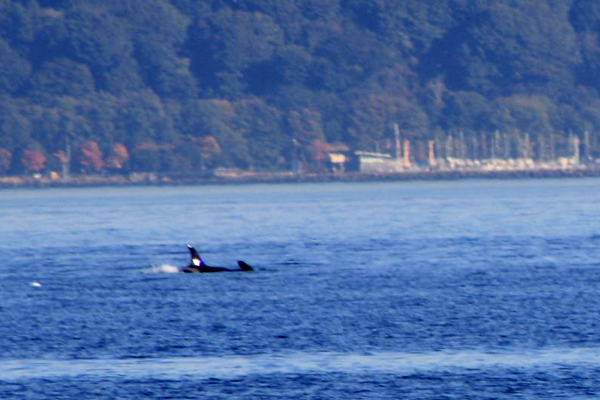 Reader Chris Beamer Otterson snapped this picture of an orca passing President Point near Kingston Monday. Dori Johnson contributed this shot of a mother and calf she took from Fay Bainbridge. Thanks to Chris and Dori for sending in photos. 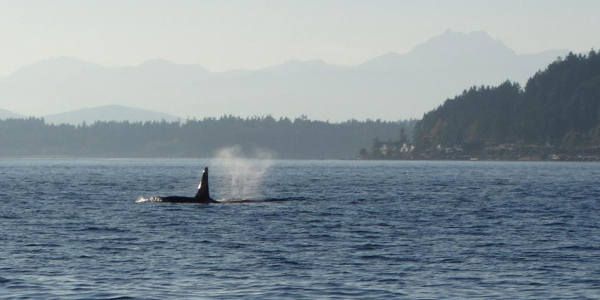 If you have a whale pic you’d like to share, please email Tad at tad.sooter@gmail.com or upload it to the Bainbridge Islander page on Facebook. You can see our whale photos from Monday here and read Chris Dunagan’s piece on orcas in Puget Sound. 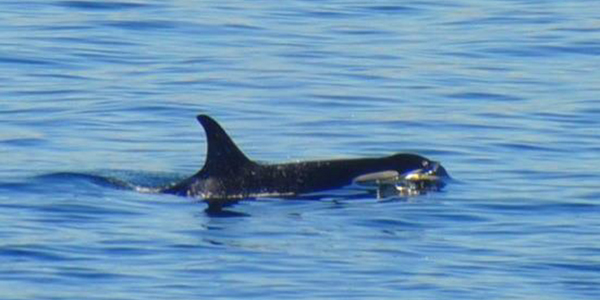 The orcas belong to the resident J, K and L pods according to whale experts. This was the farthest south the orcas have been spotted this season.